The 68th Lions Tournament, boasting a record 144 teams in 10 divisions, dominated prep baseball the week of March 26-29. Fourteen East County teams participated in the latest edition. 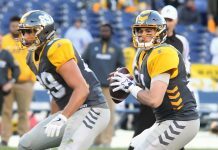 The prospect of meeting new opponents, especially highly touted teams from far off locales, is a major drawing card for the long-running event. New this year, however, was the showcase Open Division that featured a host of state- and nationally-ranked teams. Eastlake, the reigning San Diego Section Open Division champion, was included in the same pool alongside La Costa Canyon and Madison from the San Diego region and Vista Grande from Casa Grande, Ariz.
Other teams in the new Open Division included Cathedral Catholic, West Linn (Ore.), Granite Hills, San Marcos, Helix, Torrey Pines, El Camino Real, Elk Grove, Rancho Bernardo, Grossmont, Las Vegas Bishop Gorman and Clackamas (Ore.). Eastlake defeated Helix to win last year’s Open Division championship while Grossmont defeated Francis Parker to win the Division I title. Overall, eight of the section’s top 10-ranked teams helped fill out the new Lions Tournament Open Division alongside such highly regarded out-of-town teams as Nevada’s Bishop Gorman (ranked third in the nation) and Northern California’s Elk Grove (ranked eighth in the nation). 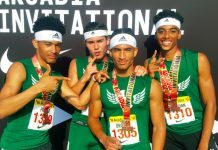 The Oregon teams, as well as Arizona’s Vista Grande and Woodland Hills’ El Camino Real, were also highly regarded. The local teams held their own in the talent-heavy mix. San Marcos blanked Eastlake, the top-ranked team in the section to start the season, 4-0, in the semifinals and then went on to top Rancho Bernardo, ranked third among section teams, by a 10-2 score in the championship game. The tournament featured as many as five games stuffed into a four-day span, stretching the pitching depth of many teams. Grossmont finished 1-2 in pool play with a 10-5 loss to Clackamas, a 6-4 loss to Rancho Bernardo and a 2-0 win over Bishop Gorman. The Foothillers no-hit the Nevada team to earn a gold star. Grossmont wrapped up tourney play with a 9-1 loss to Elk Grove in a consolation game. The Foothillers (7-5-1) resumed play in the Grossmont/Metro/City Conference (GMC) Tournament on Tuesday, defeating host Bonita Vista, 6-0, behind a complete game four-hitter by senior pitcher Tyler Parent. Parent struck out four Barons and issued one base on balls. He was within one out of tossing a two-hitter before the hosts rallied with back-to-back hits with two down in the bottom of the seventh inning. It was his first complete game of the season. Grossmont scored two runs in each of the fourth, fifth and sixth innings. The first three hitters in the lineup each scored runs: junior Keoni Valdez, sophomore Giovanni Giganti and senior Jesse Garcia. Senior Austin Odom and freshman Isaiah Gomez also scored runs along with Parent. Garcia hit a two-run home run in the fifth inning. Giganti finished two-for-two with one run batted in while senior Chris Giovengo went two-for-three with one run batted in. Junior Zak Farris also had one RBI in the game. Garcia leads the team with a .405 hitting average through 13 games, followed by Giganti (.366), Giovengo (.341), Farris (.333), Valdez (.317), Parent (.300) and Odom (.293). Garcia leads the team with 11 RBI while Farris has driven in seven runs. Parent leads the team with nine runs scored, followed by Valdez with eight. Odom tops the team with five doubles while Garcia has already belted four home runs. Giovengo (3-1 record, 3.71 ERA) has struck out 21 batters in 17 innings. Hyde (2-2) tops the pitching unit with a 1.87 ERA. He’s struck out 16 batters in 19 innings. 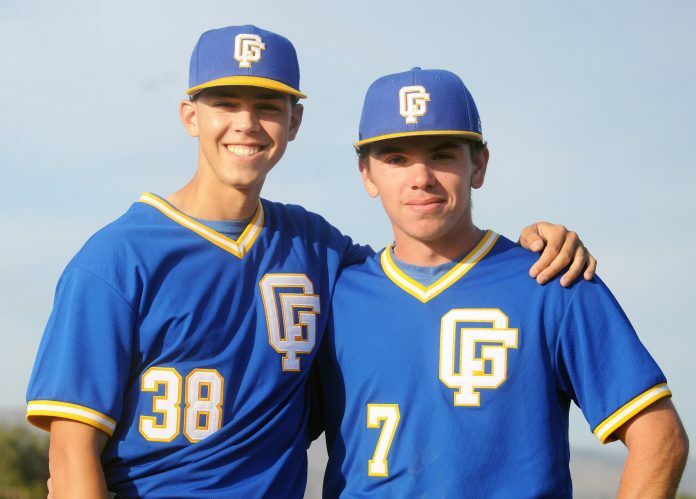 Hyde threw 85 pitches in notching the first no-hitter of his varsity career against Bishop Gorman. He struck out seven batters and issued one base on balls in the personal milestone game. The Foothillers open Grossmont Hills League play April 10 at El Capitan, then host the Vaqueros two day later. Granite Hills, Helix and Santana also are league opponents. Helix is off to a 10-3 start this spring while Granite Hills is 8-5. The Foothillers have to be considered among the section’s top teams again this year after defeating Eastlake by a 6-2 score in a GMC tournament game on March 19 and battling the Titans to a 6-6 10-inning tie in an Aztec/Foothiller tournament game on March 9. Santana advanced to the Premier Division semifinals of this year’s Lion Tournament, losing 9-2 to eventual division champion Scripps Ranch. 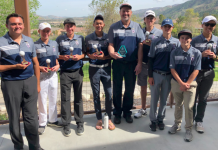 Other division champions included San Ysidro (6A Division), Chatsworth Sierra Canyon (5A Division), San Pasqual (4A Division), Imperial (3A Division), Temecula Linfield Christian (2A Division), West Hills de Toledo (1A Division) and Orange Glen (1B Division).